First Baptist Church, Sullivan Street portico. The church originally faced Shelby Street and this was the general area of the main entrance. 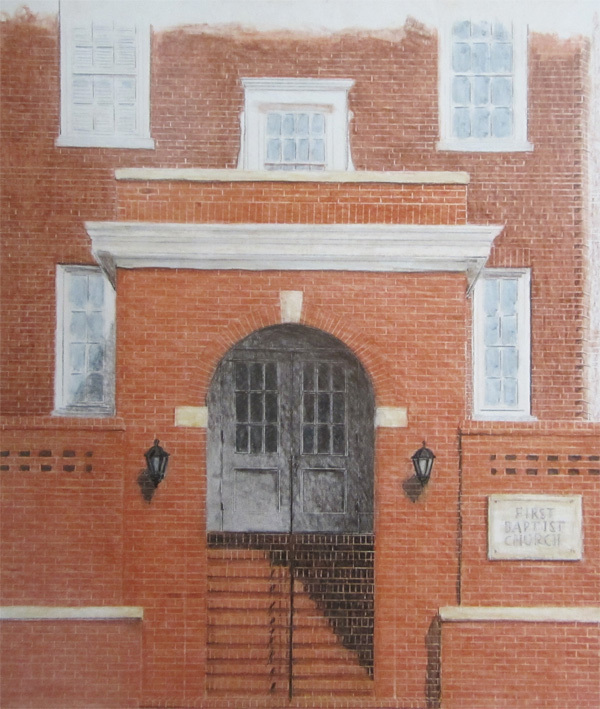 This entry was posted in Bob Lawrence Art and tagged First Baptist Church, Kingsport TN on March 23, 2013 by Bob Lawrence.